Where does Valtteri Bottas' 100th Grand Prix start rank? After the heartache of being disqualified from his first home podium in the 1988 race, Boutsen marked his 100th Formula One start by completing another solid drive on home turf; he out-qualified and out-raced his Williams team-mate Riccardo Patrese, but he didn’t get the rub of the green required to finish on the rostrum. Keke Rosberg guided his McLaren to fourth place at the 1986 Spanish Grand Prix, but trailed team-mate Alain Prost throughout the event. Nick Heidfeld secured a fine fourth place for BMW Sauber at the haphazard 2006 Australian Grand Prix. Eddie Cheever brought home his fantastically-named Arrows-Megatron in fourth at the high-attrition 1987 Mexican Grand Prix. Despite Reutemann winning the previous race at Watkins Glen – and competing in what would turn out to be his most successful season in Formula One – the Argentine had a below-par weekend in Montreal. Qualifying for his 100th Grand Prix start in eleventh, the Ferrari driver took advantage of other driver’s misfortunes to finish an unlikely third, behind team-mate Gilles Villeneuve – who took his first win on home soil – and Jody Scheckter. David Coulthard enjoyed a bittersweet milestone race; a first-lap incident for Michael Schumacher meant Coulthard made up ground on his rival in the championship battle. However, It was one of those races where McLaren team-mate Mika Hakkinen seemed unbeatable, and the Finn took victory to sit just two points behind Coulthard in the standings. 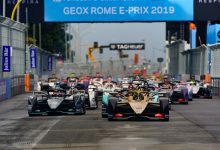 Starting third, the Red Bull man passed the slow-starting Mercedes of Nico Rosberg but fell behind team-mate Max Verstappen to remain in third. 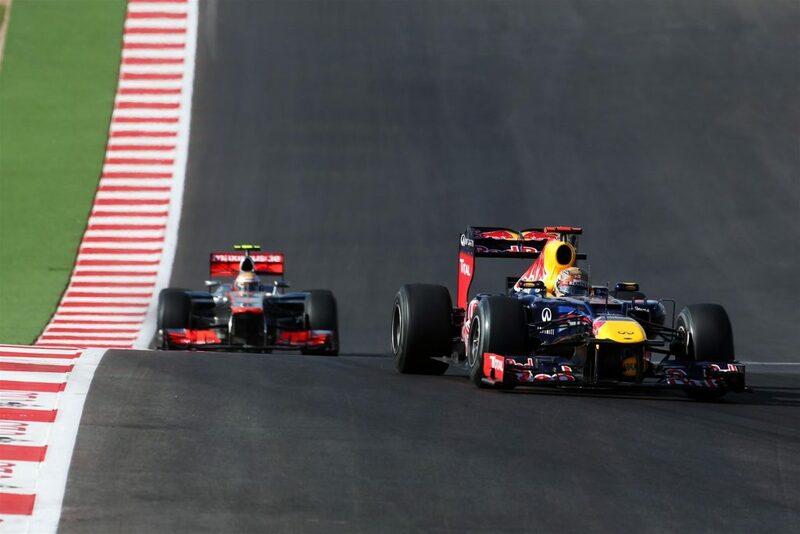 Whilst he extended his second tyre stint, Rosberg and Verstappen were duelling on track and, when he emerged on softer tyres than Verstappen, the Dutchman was instructed to let Ricciardo into second place. Lewis Hamilton took victory for Mercedes. Starting from pole position in Jarama, Ligier’s Laffite had a terrible start and was down to eleventh on the opening lap of the race. He was forced to fight back valiantly through the field and, with around eighteen laps to go, moved up into second place and was challenging Ferrari’s Gilles Villeneuve for the victory. 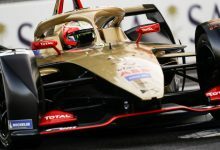 However, he was denied by a masterful defensive drive from the Canadian and he finished runner-up in one of the closest races in Formula One history. The top five were covered by a mere 1.24 seconds. The Red Bull of Vettel and the McLaren of Hamilton were closely matched in qualifying, but the former secured pole position by only one tenth of a second. With Vettel scampering off into the lead and Hamilton dropping down to third, the Red Bull seemed firmly in control of the inaugural race in Austin. However, it took Hamilton only a couple of laps to reclaim second and, over the course of the race, he homed in on Vettel. 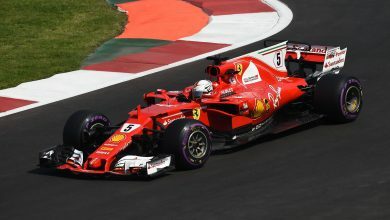 Vettel appeared to have enough pace in hand to fend off Hamilton, but a brief loss of time in traffic meant Hamilton had a golden chance on the back straight, which he executed to take the lead and claim the win, denying Vettel victory on his one hundredth Grand Prix start. 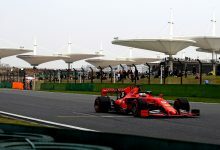 The Finn drove very well in Shanghai and would’ve been worthy of a win; he executed the undercut magnificently and completed a ballsy overtake around the outside of Kimi Raikkonen when it was needed most. However, with Mercedes caught out by Red Bull’s tactical prowess, Bottas was powerless to resist a determined Daniel Ricciardo. It may not have been his first win of the season, but it was a result which brought him back into the championship mix. 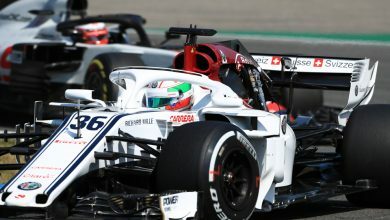 It was a controversial race, but one which saw Felipe Massa keep his nose clean whilst there were misfortunes for other drivers. He qualified on the front row behind Lewis Hamilton, but lost a position to team-mate Kimi Raikkonen on the opening lap. From there, he fell back from the battle for the lead. With rain affecting the final few laps of the race, Raikkonen crashed out of contention and Hamilton was penalised for “gaining an advantage” when cutting the final chicane and passing Raikkonen immediately into the first corner. Hamilton’s 25-second time penalty resulted in Massa being promoted to victor. 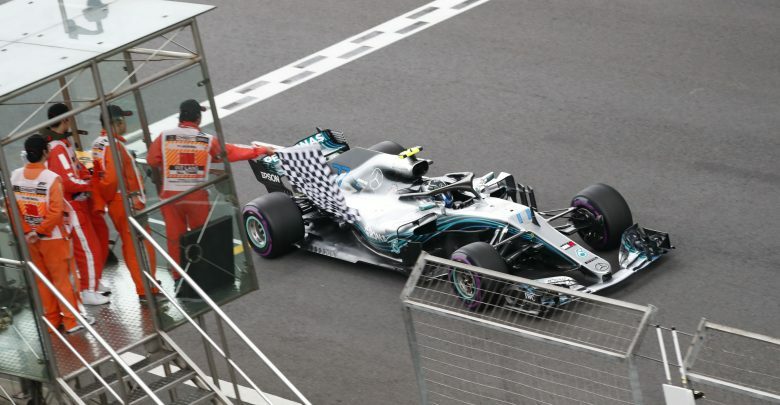 A race which turned out to be his penultimate win in Formula One brought him to within two points of Hamilton’s championship lead. 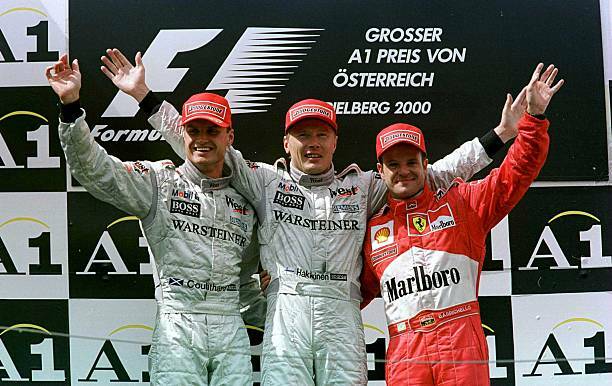 Going into the penultimate race of the season, Schumacher had publicly given up hope of the drivers’ championship. 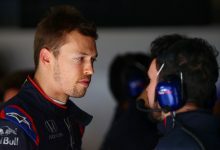 He trailed Williams’ Jacques Villeneuve by nine points, but his championship challenge was about to get a shot in the arm. During Friday practice, Villeneuve was adjudged to having been driving too fast through double waved yellows (he set his best time of the session in the process) and, due to receiving multiple warnings over the season, he was disqualified from the event. Williams appealed the decision and, as the appeal would only be heard after the race, Villeneuve was allowed to compete in case the appeal was successful. 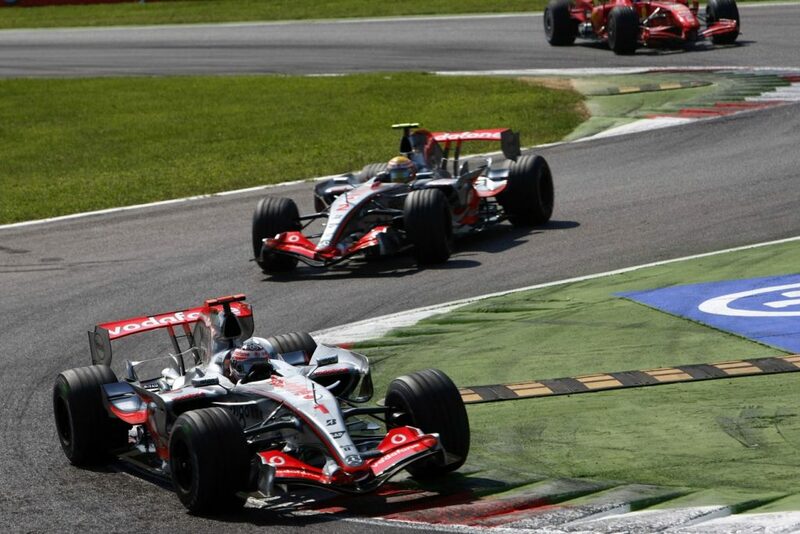 Given that the appeal was unlikely to succeed, Villeneuve (starting on pole position ahead of Schumacher) deployed a tactic of holding up Schumacher in an attempt to deny him as many points as possible. However, the second Ferrari of Eddie Irvine had been light-fuelled and lead the race by lap four, pulling out a big gap to Villeneuve. Schumacher then leapfrogged Villeneuve in the pit stops, and Irvine duly backed off to let Schumacher take the lead. 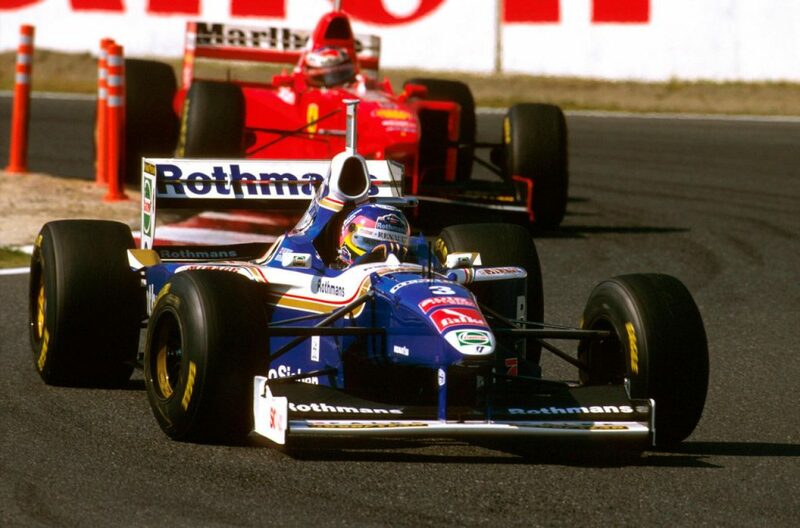 Schumacher took his 27th Formula One victory, but Irvine backing off had opened the door for the second Williams of Heinz-Harald Frentzen to take second, ahead of Irvine. Villeneuve was indeed disqualified from the race, meaning Schumacher now held a one point championship lead going into the final round. 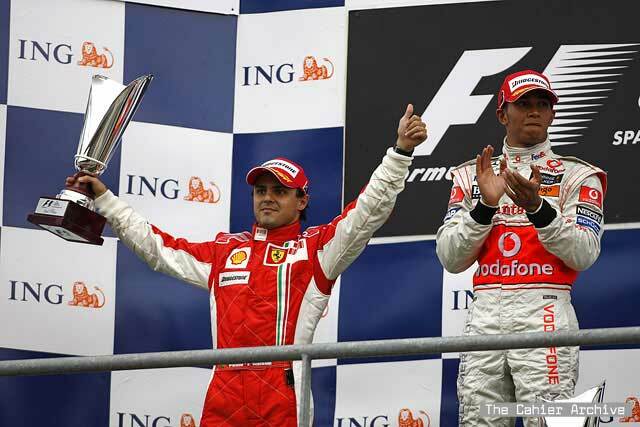 In a turbulent season which featured an intense battle between Alonso and Lewis Hamilton, the reigning world champion emerged victorious at the Autodromo Nazionale Monza. Starting from pole position, Alonso maintained the lead and fended off attacks from his team-mate after an early safety car period. 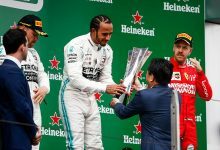 Hamilton sustained a puncture early on and the threat of a one-stopping Kimi Raikkonen was nullified by the pace of the two-stopping McLaren, giving Alonso a seemingly straightforward victory, which reduced Hamilton’s championship lead to two points.